Want a new, low-tech AAC solution? 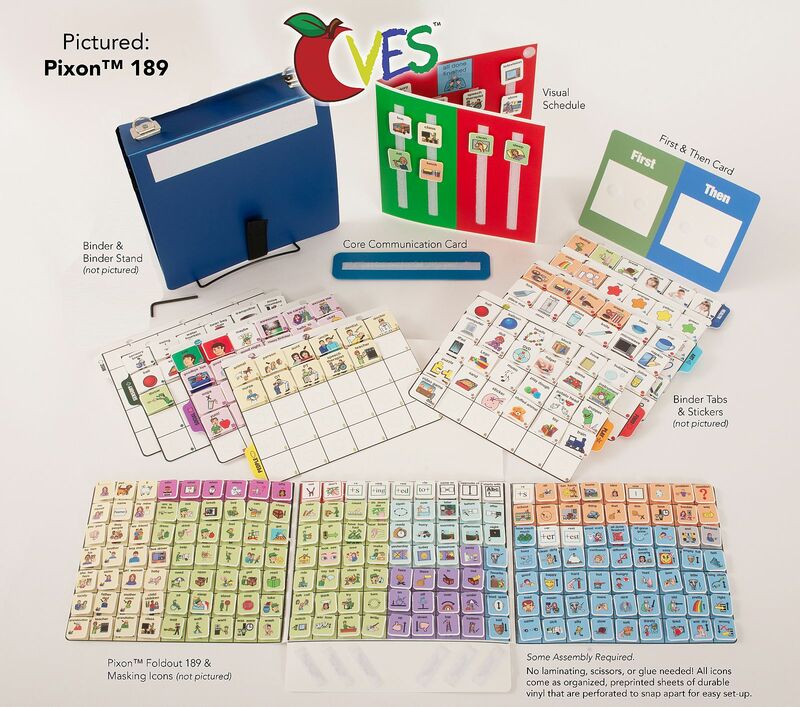 The Core Vocabulary Exchange System™ (CVES™) has everything you need to teach both picture exchange and core vocabulary! 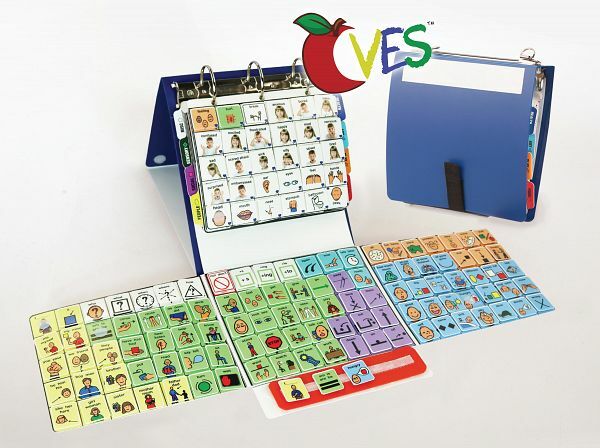 CVES™ is a low-tech, durable, and two-way AAC communication platform that incorporates picture exchange and core vocabulary. It was created to help students develop functional communication skills beyond simple requests or labeling such as "I want" or "I see." Children who have developed splinter communication skills whether they are using low- or high-tech communication devices may be lacking in functional communication skills as well as understanding the reciprocity of language where communication is happening between a communication partner and a receiver. This program is an effective way to exchange communication as it combines core vocabulary and picture exchange into one robust system that is both an interactive communication board as well as a language teaching tool. 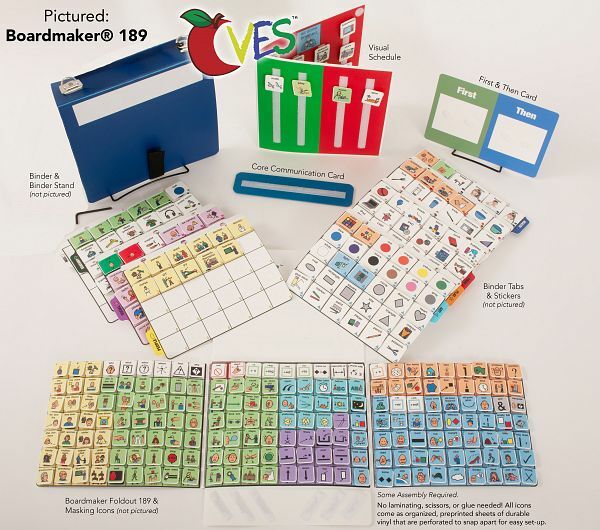 It may be used as a stand-alone AAC system dedicated to a child, or it may be used as a language teaching tool for children who have some verbal speech. It can also be used in a group setting to teach language concepts and expressive language as well as grammar and syntax. 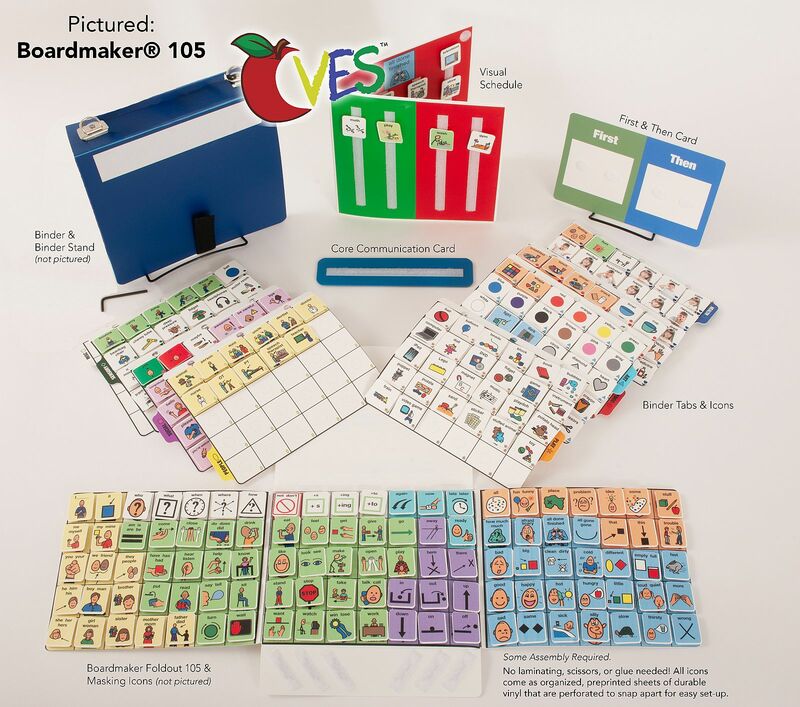 In addition, it is a multi-sensory interactive tool that can help transition a child to verbal speech with extensive use or as a bridge to a high-tech communication device. The most important purpose is to create a two-way exchange of information between a communication partner and individual. Promotes motor automaticity! Just as in a high-tech device, there should be a consistent motor plan of icons in a child's system. In CVES™, the patented icons are removable and returnable to the same location, held securely by hook and loop fastening, and organized by color-coding. This helps the motor plan as well as the convergence of language to help create motor automaticity for each word as the hand movements become the tongue, lip, and jaw for grammar and syntax. 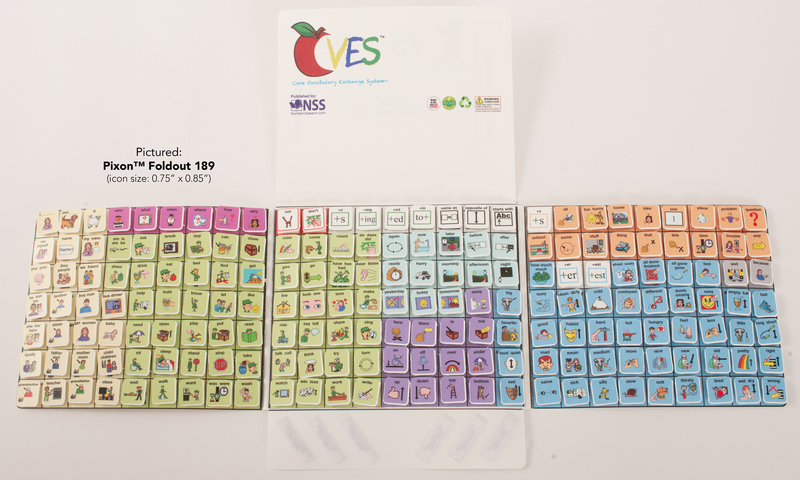 CVES™ encourages Spontaneous Novel Utterance Generation (SNUG) to allow students to say what they want when they want both in symbols and oral communication. That means using single words, two-word combinations, three-word combinations, etc, and working across grammar structures and syntax structures. 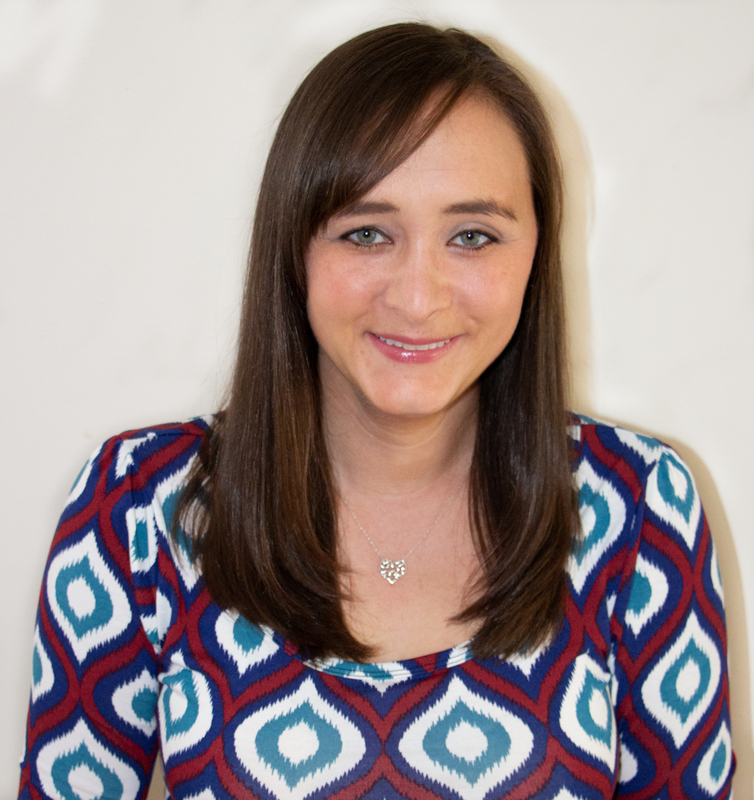 SNUG was originally introduced by Dr. Katya Hill (Achieving Success in AAC: Assessment and Intervention). Works on multiple functions of language at the same time. We use language for many purposes aside from a request or comment. We use language to direct others, to ask for help or assistance, to indicate when we're done with something (cessation), to protest or reject something when we don't want it, to tease, to comment and to request. 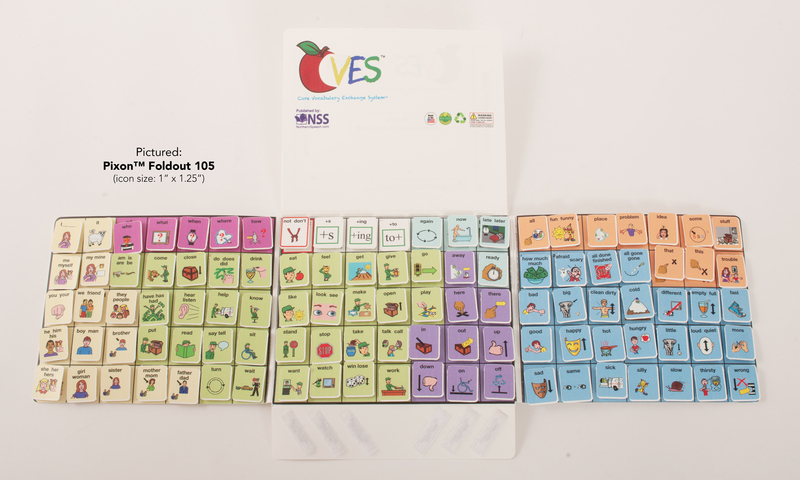 CVES™ can start a child working on multiple functions of language at the same time. CVES™ is versatile, allowing the clinician to select the correct teaching tool based on the specific needs of the child: Aided Language Stimulation, ABA Style, Pivotal Response Training, Backward Chaining, or others. We want to be talking to a child using the icons in the system which will help the student pair speech with the meaning of the icon. If we're giving the student receptive input, then he or she is more likely to use the system expressively with us. Behavioral Regulation is another key aspect because we want to target different functions of language to assist with behavioral regulation. The top 4 functions are requesting, indicating cessation, requesting assistance, and protesting or rejecting. 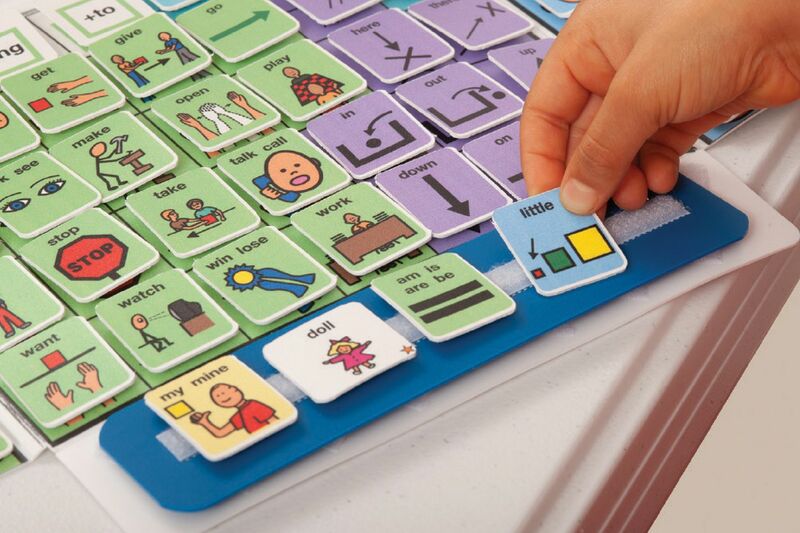 As previously mentioned, CVES™ facilitates receptive & expressive joint attention. It will also help improve eye gaze referencing between icons and the communication partner or between a preferred object, an icon, and the communication partner. CVES™ is also an ideal "backup" communication device if a high-tech system is unavailable. The symbols used in the CVES™ program can be purchased as either Boardmaker® icons or Pixon™ icons. The design of either symbol set has the look and feel (visual as well as symbol sets being used) of high tech electronic devices allowing for a smooth transition to a high tech system when it is determined appropriate. Ages: 3 and up. This would also be applicable for nonverbal adults due to TBI, Dementia, Stroke, etc. Made in the USA. Some assembly required. However, no laminating, scissors, or glue needed! All icons come as organized, preprinted sheets of durable vinyl that are perforated to snap apart for easy set-up. Need help deciding? Watch this short video to learn more about the different options available. Hex key to lock the 3-ring binder. 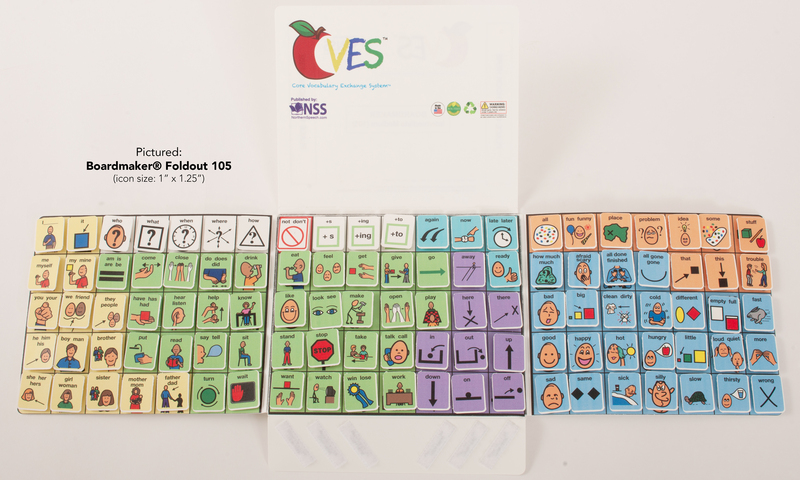 Each Foldout contains basic core vocabulary. 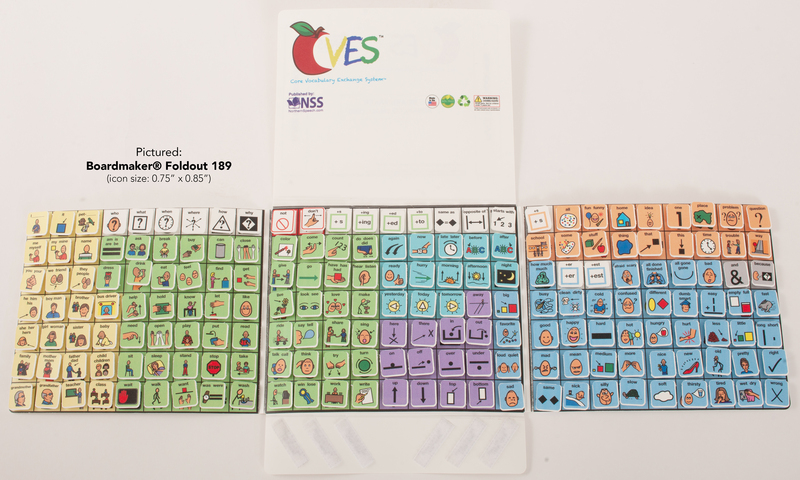 2 sheets (70 blank Icons) for the 105 Foldout (icon size: 1" x 1.25"). 1 sheet (63 blank Icons) for the 189 Foldout (icon size: 0.75" x 0.85"). Stickers for customization on the Miscellaneous Binder Tab Icons. Hook & Loop Fastening with instructions for completely assembly. For ages 3 and up. This would also be applicable for nonverbal adults due to TBI, Dementia, Stroke, etc.